Shane McDonald earned a Bachelor of Arts from Texas A&M University and a Juris Doctor degree from South Texas College of Law. 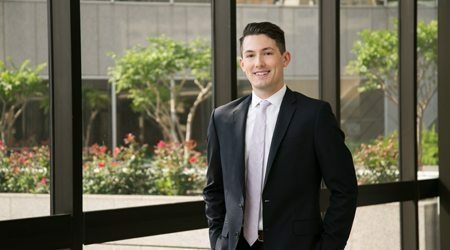 While at South Texas College of Law, Shane participated in the Langdell Scholar Program by serving as a Constitutional Law research and teaching assistant for over two years. Prior to joining the firm, Shane worked with the regulatory compliance counsel of a Fortune 500 oil service company; assisted with general counsel functions for a human health service provider; and served as an associate at a boutique civil litigation firm with a focus on general civil litigation and health care law. Though Shane’s practice covers several areas of law, he primarily focuses on general civil defense, labor and employment law, and health care law. Shane is involved in all aspects of his cases, including motion practice, written discovery, depositions, pre-trial hearings, settlement negotiations, mediations, trials, and appeals.